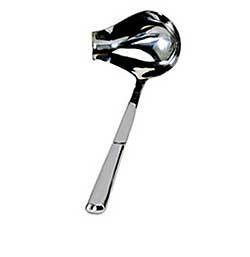 The Update International Spout Ladle 2 oz. features 18/0 stainless steel, with a hollow handle. Dimensions are: 10-1/4". Manufactured by Update International, one of the leading food service industry suppliers, offering quality products to the world of Beverage and Foodservice for more than 30 years.